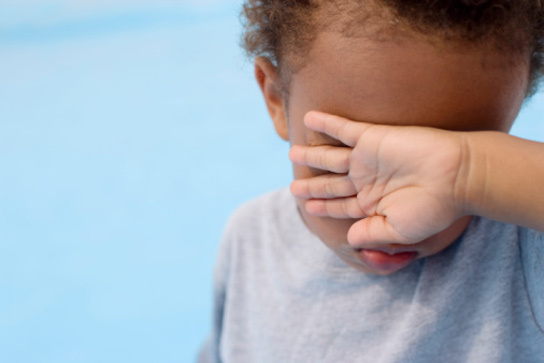 Young children think that they can hide themselves from others by covering or closing their eyes. This is something that most parents and teachers quickly discover, but why exactly do children believe this? A research team at the University of Cambridge set out to discover why and published their findings in The Journal of Cognition and Development. The team was led by James Russell from the Department of Psychology and tested children aged three and four. Nearly all the children felt that they were hidden when they were wearing an eye mask and most thought that an adult with a mask was hidden too. The researchers then tested whether children think it is the fact that a person’s eyes are hidden from other people’s view that renders them invisible, or if they think the act of being blinded is the decisive factor. Wearing goggles that were completely blacked out and then goggles that they were mirrored so others couldn’t see their eyes but still allowed the children to see, only 7 out of 37 participants understood that they could see out, but people couldn’t see them. Of the seven, six believed that they were invisible regardless of the goggles that they were wearing, implying that children thought they were invisible because their eyes are hidden, rather than the fact that they couldn’t see. Nevertheless, the children agreed that their head and body were visible. They seemed to make a distinction between the concealment of the “self” and that of the body. Using these clues, researchers started wondering if children thought that people only saw each other when they made eye contact. Many of the children felt that they were hidden so long as they didn’t meet the gaze of the researcher and felt that the researcher was hidden if his or her gaze was averted while the child looked on. “It seems that children apply the principle of joint attention to the self and assume that for somebody to be perceived, experience must be shared and mutually known to be shared, as it is when two pairs of eyes meet,” Russell said. This data raises some interesting questions for future research. Children with autism are known to engage in less sharing of attention with other people, perhaps they will be less concerned with the role of mutual gaze in working out who is visible. 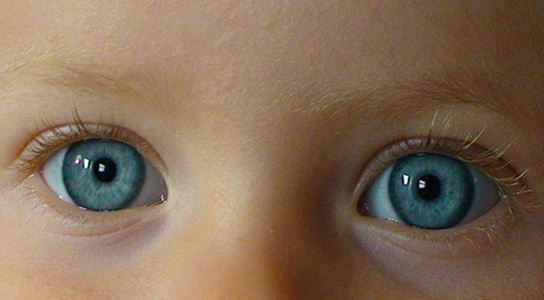 Another avenue could be to explore the invisibility beliefs of children born blind. The researchers speculate that skin-to-skin touching may serve as a proxy for eye-contact in the congenitally blind. Be the first to comment on "Why Children Believe Hiding Their Eyes Makes Them Disappear"